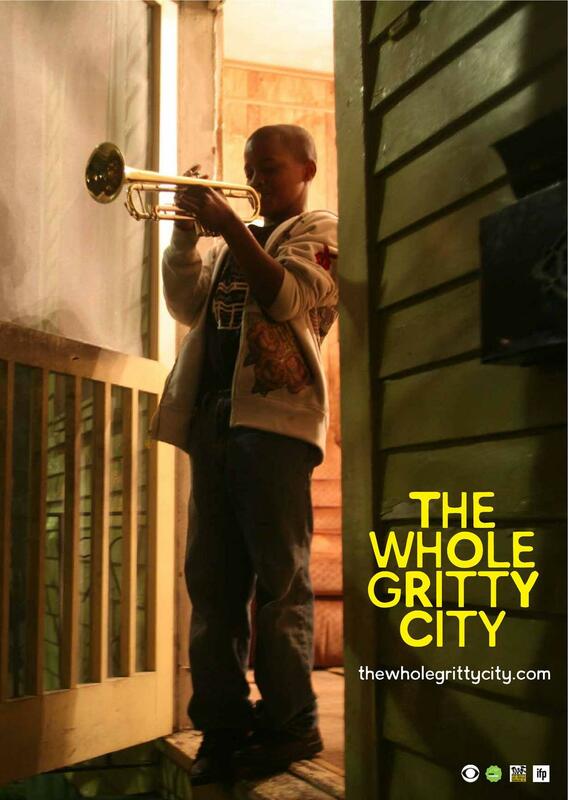 On Saturday, February 15, jazz great Wynton Marsalis will host the national television premiere of The Whole Gritty City, an engrossing documentary that zooms in on New Orleans brass and marching band culture and the escape it offers from the traps of some of the city’s roughest neighborhoods. Back in October, just prior to the world premiere screening of The Whole Gritty City at the New Orleans Film Festival, Southern Glossary’s Brad Rhines wrote about how the film came to be. During an interview for that piece, first-time director Richard Barber said, off the record, that a deal with CBS was in the works, but he couldn’t confirm the details. He admitted that other networks, including HBO, were reluctant to air Barber’s version of the film because of its uncompromising cinéma vérité style. It’s a bold decision by CBS to air the film as Barber made it, and it speaks volumes about the network’s support of Barber, an editor for CBS’ 48 Hours. It was at 48 Hours, while working on an episode about the violence plaguing post-Katrina New Orleans, that The Whole Gritty City was first conceived. So, after watching hours of footage about Dinerral Shavers, snare drummer for the Hot 8 Brass Band and band director at L. E. Rabouin High School, after hearing about how Shavers was shot in the back of the head, taking a bullet meant for his 15 year-old stepson, after hearing the kids in the neighborhood talk about Shavers as a mentor and positive influence, Barber decided to make his first film. The Whole Gritty City will air as a special 2-hour 48 Hours Presents on CBS at 9/8c. It will also be available for online streaming for two weeks after the broadcast. Read the whole preview here.